Posted on Thursday, January 20, 2011, by Eric - TV Geek Army "Revered Leader"
(S0410) It’s a little bit weird to talk about “enjoying” Celebrity Rehab With Dr. Drew. After all, we’re watching real addicts (who happen to be celebrities, though some much better known than others) making an attempt to get healthy at one of the worst and most painful times in their lives. Still, I think it would be disingenuous for anyone to discuss watching such a show for purely academic or informational purposes. 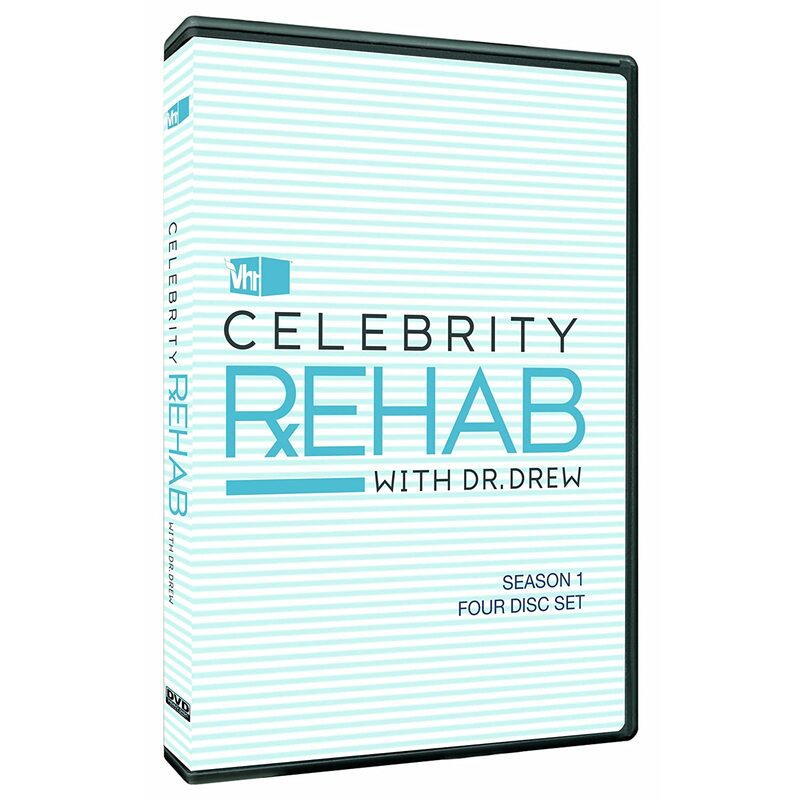 Celebrity Rehab is an interesting and compelling show at its best because we see the real process of rehabilitation from drugs and alcohol. It was fascinating for instance to see Tom Sizemore return this season to visit the new cast of celebrities. This was a guy who looked to be a walking corpse when he descended on the Pasadena Recovery Center last season. But now, on the “other side” in many ways, he is a role model for getting sober and reclaiming his life. So, of course, it’s a more interesting show when we can relate to the people we’re watching (there’s the dude from Saving Private Ryan! There’s the dude from Party of Five! There’s the girl who’s the mom of some pop band I’ve never heard of! ), but let’s not kid ourselves that there’s not a fine exploitative line being walked both in the production and viewing of painful and messy events that are being televised. That said, I do believe that shows such as Celebrity Rehab do have the ability to do some good: being an addict on the verge of death is not hot or glamorous in the slightest – even when experienced by celebrities – so perhaps it will do someone Out There some good as a cautionary message (and same goes for 16 & Pregnant and Teen Mom with regard to teen pregnancy). And with all of that, this edition of Celebrity Rehab saw this current crop of celebrities – Jason Davis, Janice Dickinson, Leif Garrett, Jeremy London, Frankie Lons, Rachel Uchitel, Jason Wahler, and Eric Roberts – on the far side of three weeks of painful recovery, focusing mainly on their graduation ceremony at a beautiful spot in Pasadena (Cal Tech is my guess). Each graduate stood up to give a little talk about their time in rehab and their recovery, followed by remarks and feedback from Dr. Drew and his longtime staff members Bob Forrest and Shelly Sprague. The transition that all of the graduates experienced in only a three-week timeframe was certainly striking, particularly for those such as Leif Garrett and Jason Davis who literally looked like they could have been days away from a morgue upon their admission to the unit. Jeremy London and Eric Roberts were further along in their recovery by the time they showed up for Celebrity Rehab, but they too seemed to be more at peace (particularly as each dealt with significant family issues while in treatment). While certainly not the biggest celebrity in terms of star power, Jason Davis (“billionaire heir”) deservedly had the most focus this season as he was a severe addict with a toxic attitude that was part ultra-vicious and part jaded-beyond-jade. The high point of the episode came when a somewhat chastened Davis agreed to go onto further in-patient treatment as opposed to his strong desire to continue treatment on his own out in the wild. Jason finally said “I surrender” while speaking during the graduation ceremony, to Dr. Drew’s and everyone else’s relief. Jeremy London’s reaction was rather touching as well as he talked about how as Jason’s “mask” came down everyone was able to finally get to know and care about him as a real person. The final few segments of the finale took place in New York City and involved Dr. Drew and Rachel Uchitel visiting Ground Zero, where Uchitel’s fiancée died on the morning of 9/11. Uchitel certainly falls into that odd area of celebrity for being famous for being famous… in this case for having an affair with someone famous. I only had heard of her by way of The Howard Stern Show, and to Celebrity Rehab’s credit they do not mention the name of the true celebrity that Uchitel (and many others) was involved with (that being Tiger Woods). And I suppose a show that can do that and make me think those thoughts about myself and other people and the world is worthwhile and worth writing about too at least in some small measure.